There seems to be no quelling the salted egg trend, we still love that rich eggy goodness with fervent passion. 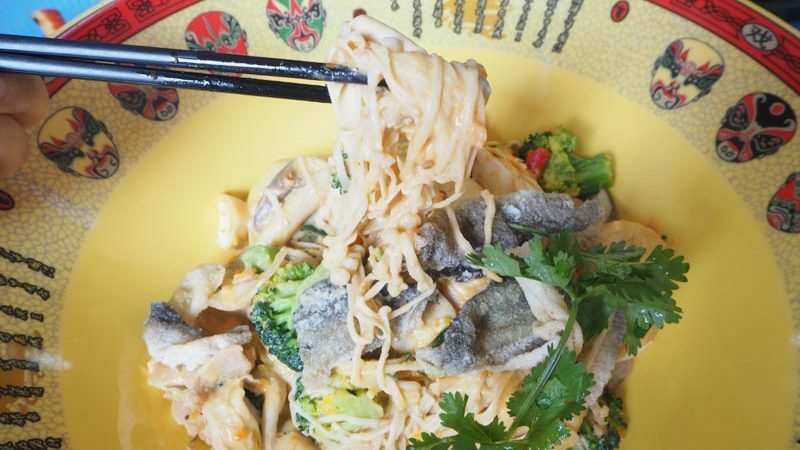 After a year of experimenting, coupled with the mala craze that has taken over Singapore, Three Good Guys at Golden Mile Food Centre has cleverly cashed in on our obsession and came up with salted egg yolk xiang guo. 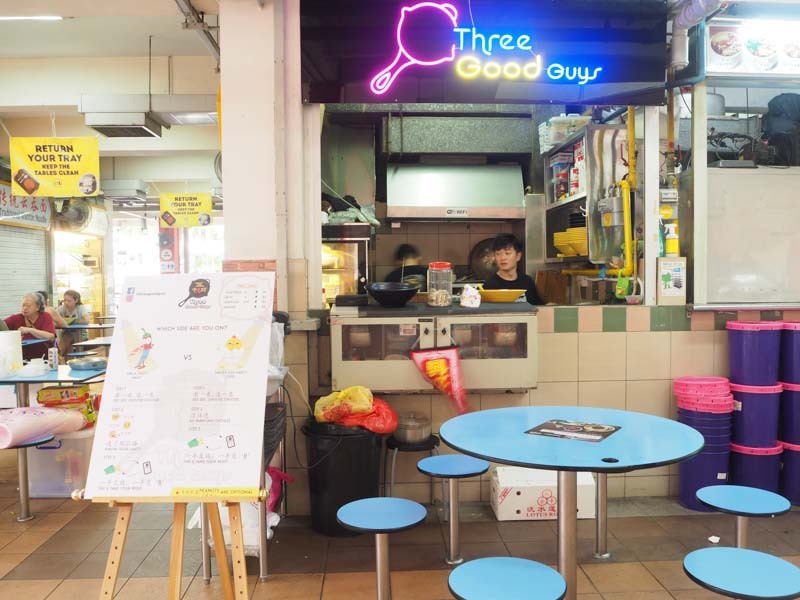 The stall is the brainchild of Jun Jie, Alan and Michael, who were three former advertising executives who took a leap of faith and left the corporate world for a tough but rewarding life of a hawker. Located on the first floor of Golden Mile Food Centre, their bright neon sign and snaking queue would be the first thing you see as you make your way up the stairs. I do consider myself quite the salted egg connoisseur, so when it comes to anything salted egg, I’m there. When you get there, you’ll see a helpful sign to guide you in choosing either Mala Party (MLP) or Salted Egg Party (SEP). 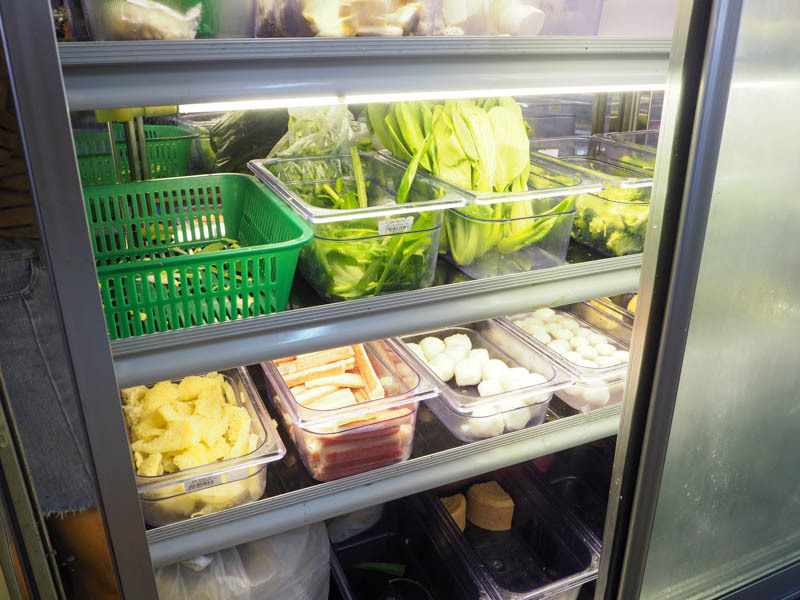 You have the usual array of vegetables and meat to help you get started. The base price is S$3.50 for the Salted Egg Party and S$2 for the Mala Party. 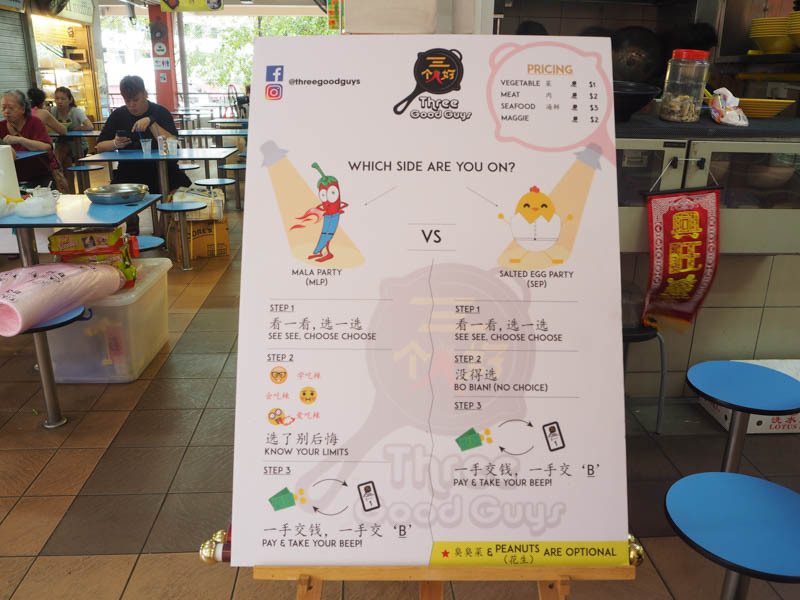 Instead of using weight to price their mala, Three Good Guys charges per item: S$2 for meat, S$3 for seafood, S$1 for vegetables and S$2 for instant noodles. Mala goers would certainly appreciate this as we all know sometimes you don’t exactly get your money’s worth. To ensure we tried all that Three Good Guys offers, we got both the Mala Party and Salted Egg Party. Three Good Guys served their Salted Egg Party in a rather large yellow bowl, which perhaps added to the novelty and theatrics of eating it. The bowl itself will definitely catch the attention of curious onlookers. I liked how they added fried fish skin on top of the dish because what is salted egg yolk without fried fish skin. 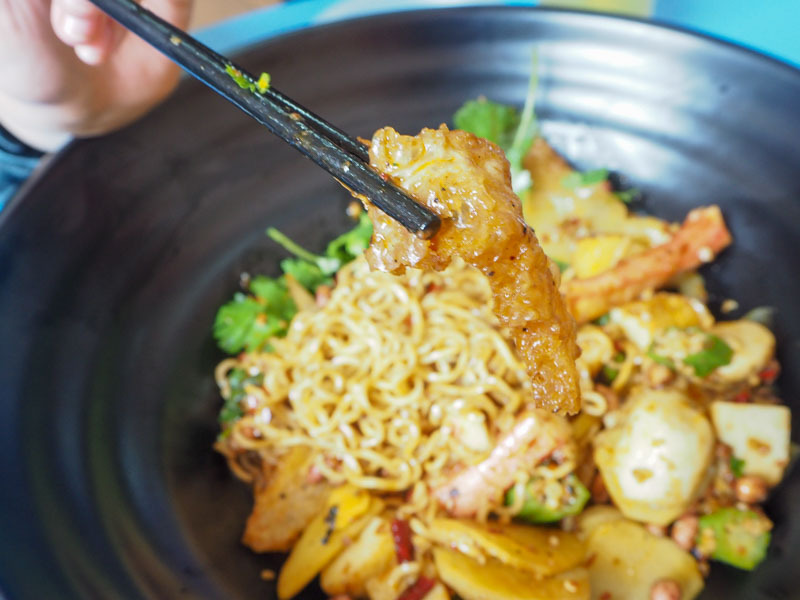 The salted egg yolk sauce evenly coats every bit of vegetable and meat in the bowl, which I appreciated. A common complaint about salted egg yolk dishes is how there is just not enough salted egg sauce, but this isn’t the case for Three Good Guys. Jun Jie, Alex and Michael informed me that they have specially tweaked their sauce such that is will be creamy but not too rich. Another gripe we often hear is, of course, how jelak salted egg yolk dishes tend to be, and I wondered whether this bowl trod that fine line. I noticed there were also salted egg chunks scattered throughout the bowl, you can be sure that the salted eggs used are the real deal and not the usual powder seasoning. The sauce is without a doubt creamy, but I would have to say that the dish as a whole is still missing that oomph factor. 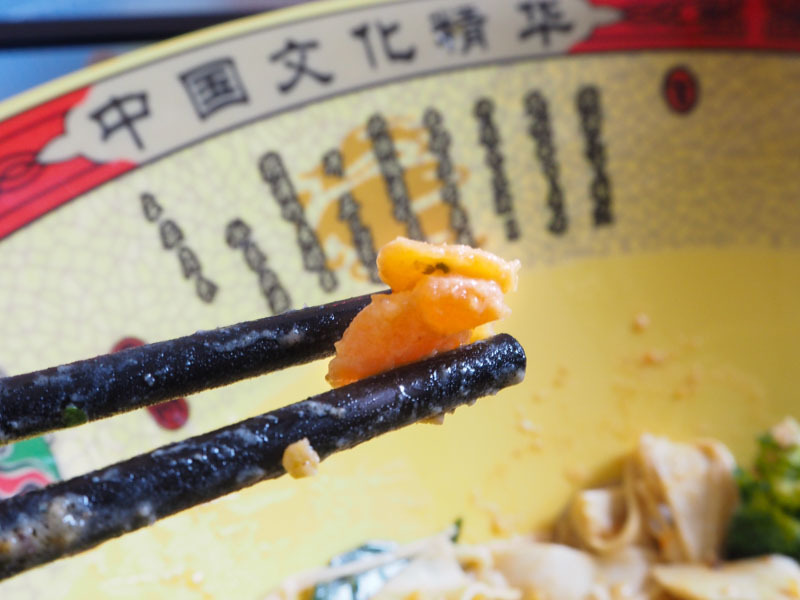 Perhaps it was the food items we chose, but I felt that the dish lacked in texture. Everything sort of melded together and it was a hit and a miss. 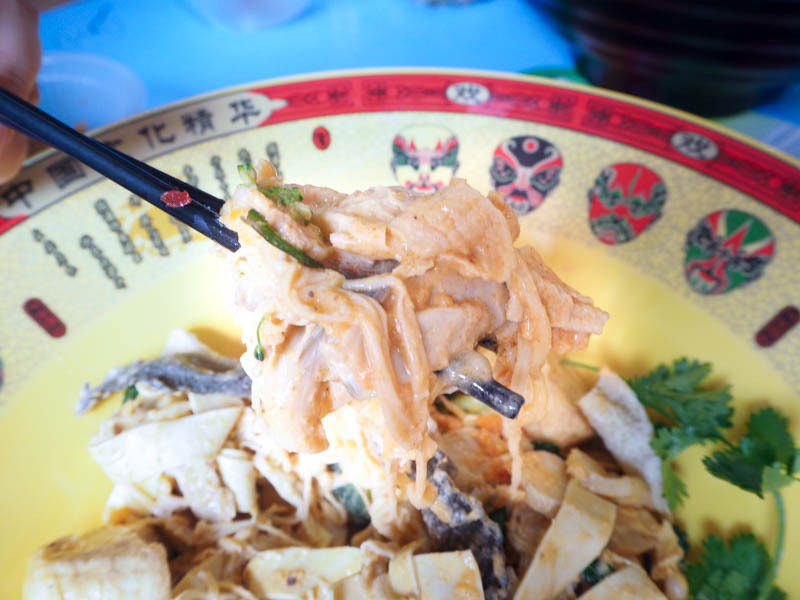 We tried their Mala Party next, this also comes in an equally large bowl which is great for sharing. What I liked about this is how Three Good Guys accommodates to your taste. Even though there are general levels of spice you can choose from, the guys tell me that it can be further tweaked. For example, if you enjoy the ‘ma‘ part of mala, they can certainly amp that up for you. When the bowl was set before us, it certainly fulfilled the ‘xiang’ part of mala xiang guo with the piquant spices wafting and tickling my nose. I noticed that this mala is less oily than most, which is one of the defining features of Three Good Guys. 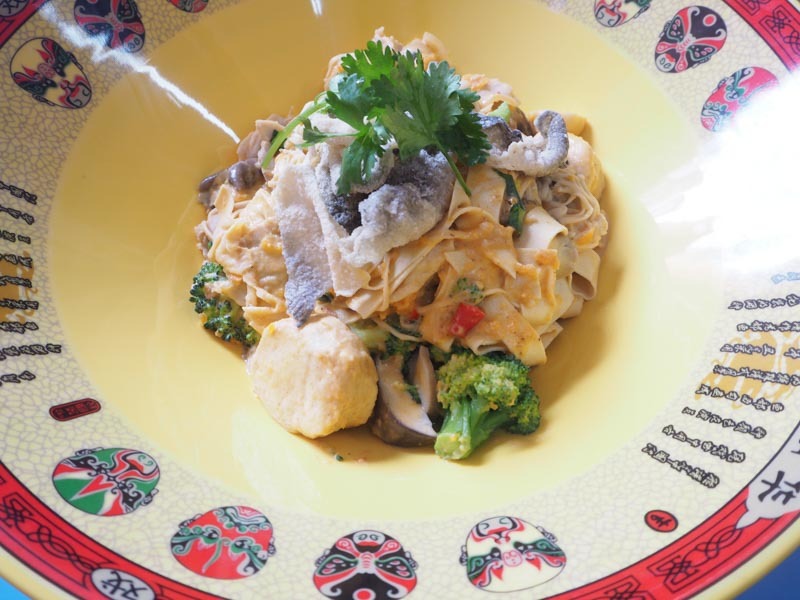 This mala is catered for Singaporeans who love mala but not the greasy aspect of it. The mala is tasty enough but similarly to their Salted Egg Party, there seems to be something missing. I found their vegetables a little too soft for my liking and their mala spices not punchy enough. 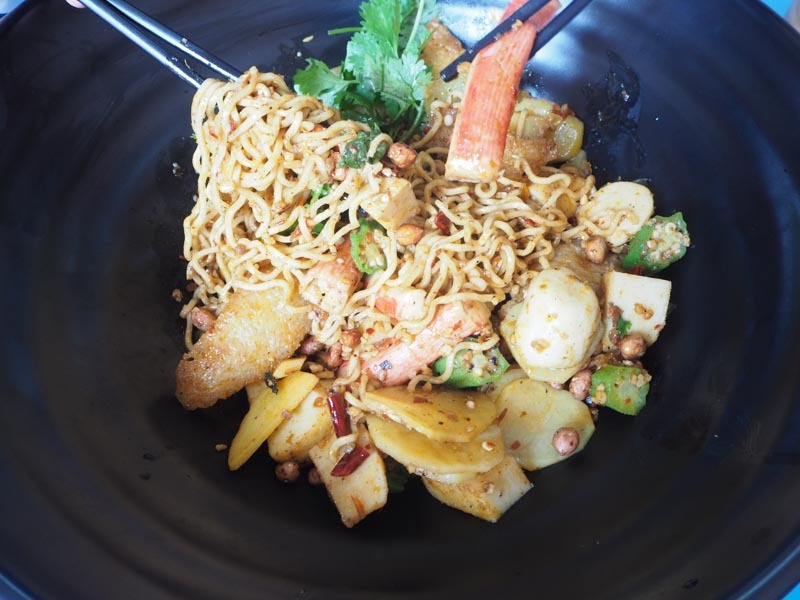 It was a rather adequate bowl of mala, but unfortunately, I’ve got to say I had better. Having only just opened their doors weeks ago, it is understandable that there are a few kinks to work out. When speaking to the three guys there is the unmistakable spark of passion in their eyes as they explain how they came up with the novel idea of the salted egg yolk xiang guo. I do admire their tenacity and entrepreneurial spirit as hawker life is certainly no easy feat. 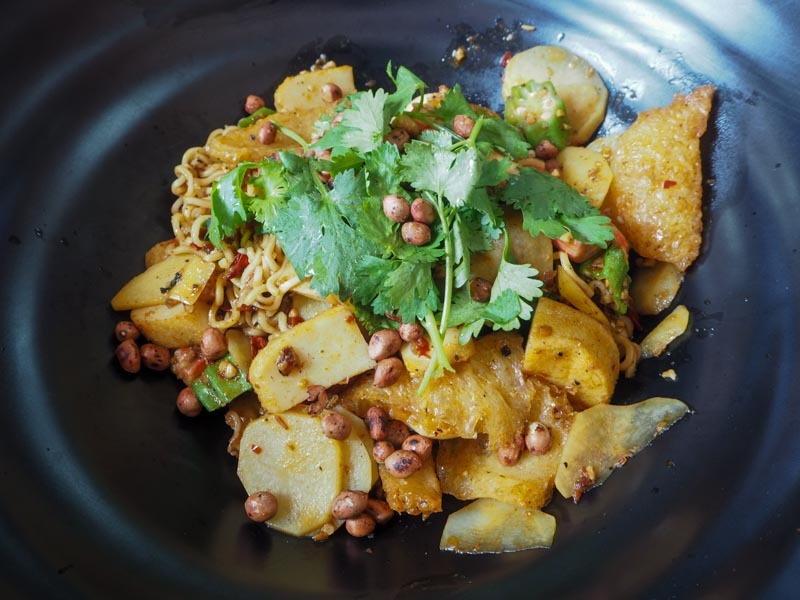 There is some major tweaking and fine-tuning that is needed to really elevate both their dishes to ensure that their stall is just a flash in the pan. With their enthusiasm and their can-do attitude, I trust we will be hearing more about them soon.